THE DEFENCE AND PROSECUTION teams have been delivering their closing arguments at the double murder trial of Hazel Stewart, 47, in Coleraine. 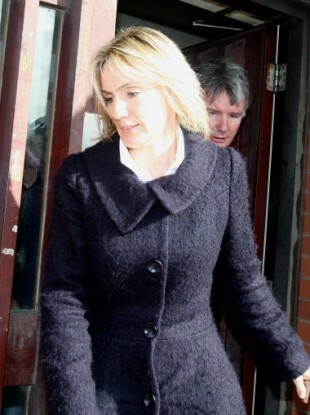 Stewart denies murdering her husband Trevor Buchanan and Lesley Howell, the wife of her former lover, in 1991. The two deaths were initially treated as suicide when the bodies were found in a fume-filled car. However, Howell’s husband Colin Howell, a lay preacher and dentist, confessed to both murders to church elders in 2009. Howell has been convicted of the two murders and sentenced to serve a minimum of 21 years in prison. His trial heard he had killed each of the two victims as they slept in their own homes using a length of pipe attached to the exhaust pipe of his car. Howell then took both bodies and arranged them to appear as a double suicide. Hazel Stewart’s trial heard evidence from Howell, who claimed Stewart knew of his plan and had no moral objection to it. “Hazel and I were waltzing together, in time. All the side-stepping was done together”, he claimed. The court also heard that Howell and his wife had held a birthday party for their young son on the same day he killed her. In a police interview played to the court, Stewart claimed she was vulnerable and had been bullied by Howell. She said he told her of his plan but she feared he would kill her if she did not go along with it. Stewart did not take the stand during her trial. UTV reports that prosecutors claim this is because she in unable to provide an innocent explanation for her role in the two deaths. Her lawyer told the court Stewart could not have had a joint enterprise with Howell to carry out the killings because he thought her weak and easy to control, the BBC reports. Email “Stewart has no innocent explanation of role in double murders, prosecution claims”. Feedback on “Stewart has no innocent explanation of role in double murders, prosecution claims”.